Whether you are an accomplished artist or a complete noob this is just fun. 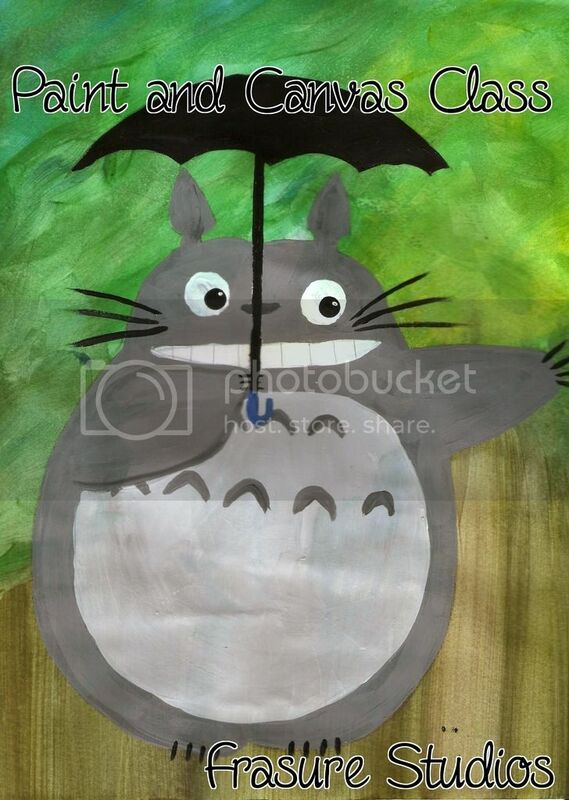 Students will be lead through the steps to paint their own Totoro canvas & we do the clean up! This class is all about Totoro! Kawaii, realistic, scary, abstract? The choice is yours! We provide materials, assistance and company. Come have a good time and leave all of the clean up to us! Take a moment to relax and rest your feet.